How will we celebrate Thanksgiving? For many of us it’s a way of recreating in the form of watching sports or how much turkey we can ingest. That can be a reflection of our values. When we reflect back on history, we find that originally, our freedoms were secured by people who wanted a day of appreciation for the blessings they were given. Could the apparent lack of giving thanks for our blessings be part of the reason people are becoming polarized today? How we celebrate Thanksgiving may reflect of our values and perhaps deeper, our understanding about the very fabric of our constitution. Dr. Larry Arn, President of Hillsdale College writes in the, ‘The Founders Key,’ about how professors within our modern educational institutions have described the constitution as, “irrelevant to the current political design of our nation.” The revision of our beliefs about the constitution happen when we shift values from duties and responsibilities to rights and an attitude of 'what’s in it for me'. Educational institutions inflict historical amnesia on us leaving the bureaucracy free to whittle away at the principles that are reflected on our constitution. Antony Fisher writes in, ‘Must History Repeat Itself,’ “Lacking fundamental principles as guides, the politician and his party organization are like amateur explorers marching in step to an unknown destination without a map, navigational equipment or any real knowledge of the stars.” Our society, without a working knowledge of its history and the part it played in the formation of our constitution, is evidence of our change in values. My association with top leadership experts like Orrin Woodward has stirred my fervor for history in the hope that we can preserve the principles of freedom and prevent the profound negative effects that come from losing any remaining values we still have. 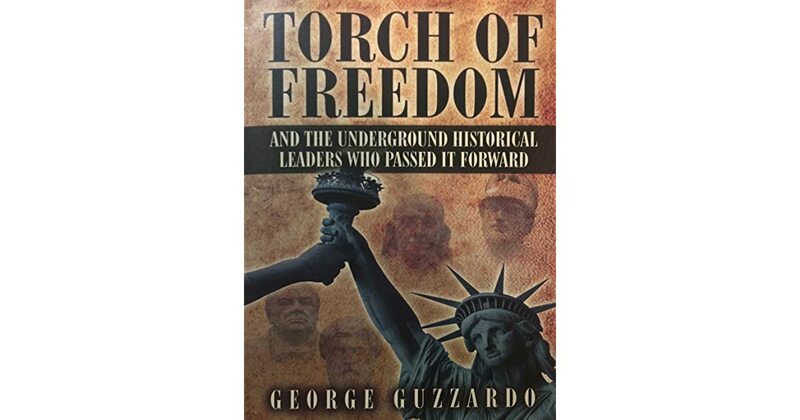 When I wrote, ‘The Torch of Freedom,’ it was an attempt to rekindle the desire to see how history is tied to understanding the foundations of our constitution that reflect our values. Without that understanding, we won’t recognize the slow demise of our freedoms. It had been a good day – in fact, one of the happiest he had known. He sat, surrounded by friends young and old. The Wampanoag were there as well to join in the festivities. They had brought deer and turkey, and the celebration and feast had been truly magnificent. It felt good to be full, physically and emotionally. Bradford developed a friendship with an Indian, Squanto, who is himself worthy of study. Squanto taught the pilgrims how to plant and prepare their fields and how to fish. He also served as their guide and interpreter to the Indian neighbors. Squanto’s invaluable assistance helped move the pilgrims from bare survival to more prosperous conditions, and the first Thanksgiving recorded was likely due in great part to the pilgrims following the planting and harvesting methods Squanto shared with them."